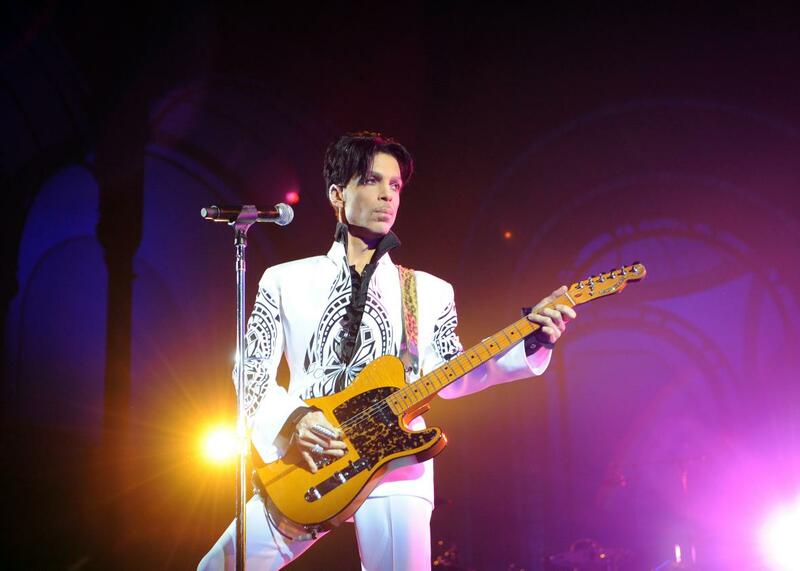 Prince was a musical genius: Kurt Cobain was not. This may seem like a bold statement, but allow me to explain. I like Nirvana. I liked them back in the 1990s and I still like quite a bit of their music. I think Kurt Cobain was a great songwriter. But he was not a musical genius. Mozart was a musical genius. Rachmaninoff was a musical genius. So was Prince. I don't love all of Prince's music, but that's neither here nor there. His abilities as a singer, songwriter, guitarist, composer, arranger, and proficient multi-instrumentalist are without equal in the modern era. So musical genius then, is not above average ability in one area, but an overwhelming mastery of many areas. Prince understood music the way Einstein understood physics, or the way Shakespeare understood the English language. Joe Satriani and Eric Johnson are masters of the electric guitar, Les Claypool is a master bassist, Buddy Rich was a master drummer. Prince was a musical genius. What does this have to do with whisky? Well, when thinking about bold whisky, people often associate higher proof (ABV) whisky with bold. The whiskies in this category often go well above the minimum 40% ABV, but having a high alcohol content does not make a whisky bold in and of itself. Just like being a good songwriter does not make a person a musical genius. See, it all makes sense. Here then, are my Cusack-inspired Top 5 picks for best bold whiskies. I reviewed this one awhile back, and I can't forget it. Clocking in at a powerful 50% ABV, this one packs a punch. Yet for all its rye-forward power, it's still balanced with vanilla sweetness, herbal (rye) notes and a silky, mouth-coating texture. Four Roses Single Barrel is even great in a cocktail (I love it in an Old Fashioned) since its personality doesn't get lost in the mix. 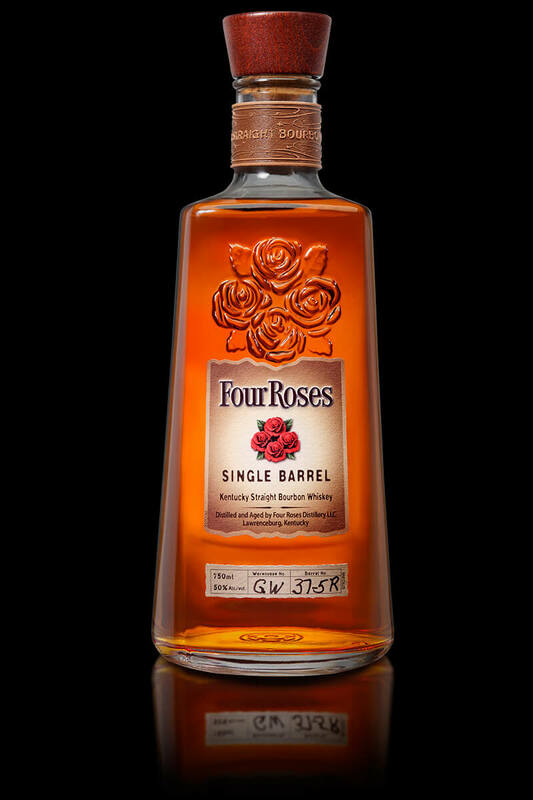 If you think scotch is the only game in town when it comes to big, bold flavours you really should check out this bourbon. There are also some Canadian whiskies which are tragically overlooked, but that's a blog post for another day. What's this? A No Age Statement (NAS) whisky in my top 5? Didn't I criticize these anti-age labelling decisions? Yes, yes I did. And my criticisms of NAS whisky still hold true. The ambiguous labelling and fuzzy marketing around these whiskies are deserving all the criticism directed at them. Perhaps the real tragedy is that the debate created by dropping age statements has overshadowed some really great whiskies. Distillers and their corporate overlords have only themselves to blame. 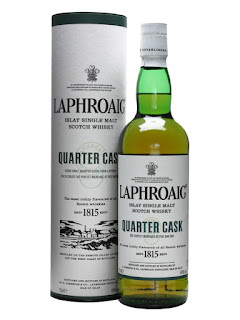 Despite all the hullaballoo, I'm still recommending Laphroaig Quarter Cask as one of my go-to bold whiskies. I actually prefer the standard Ten Year Old expression, but it's medium-bold, if that makes sense. Quarter Cask is an aggressive punch in the mouth. 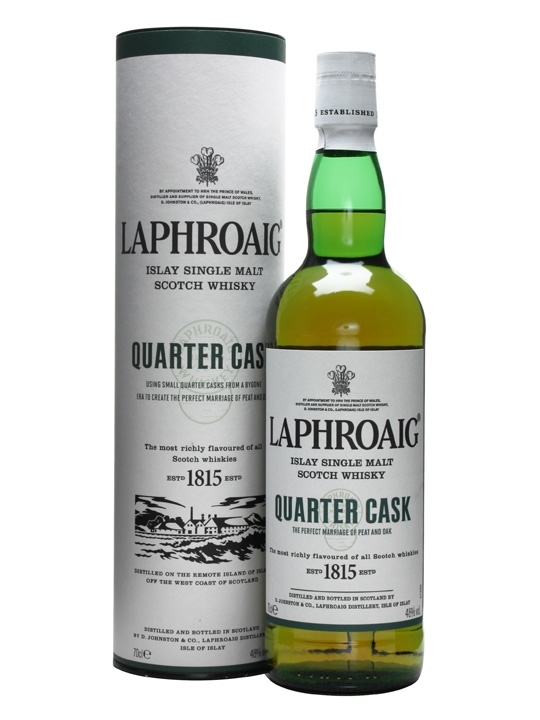 To make a movie analogy, Laphroaig 10 is Walter 'Monk' McGinn; it's got some guts and is quite able to fight with the best of them, whereas Laphroaig Quarter Cask is Bill 'The Butcher' Cutting; hard, rough and completely merciless. Quarter Cask is bottled at a sturdy 48% ABV. There's big, medicinal Laphroaig peat and smoke, cigar ash, oak, toffee and I get lots of dark roast coffee on the finish, though I've never really seen any other reviewers reference this flavour. Master Distiller John Campbell talks here about Quarter Cask. It's worth clicking the link just to hear his great accent. Oh, and he's pretty darned knowledgeable about whisky too, if that kind of thing matters to you. Another NAS whisky? I must be losing it. Not really. I freely admit that I have a crush on all things Aberlour. I've enjoyed everything I've ever tried from this distillery. Their bold NAS release is no exception. The batches of A'Bunnadh are numbered and you can find reviews for pretty much all of them online. I've tried A'Bunadh twice and though I didn't note the batch numbers, both were outstanding. They are bottled between 59% and 61% ABV, depending on the batch, but it isn't just the high alcohol content that makes this a bold whisky. 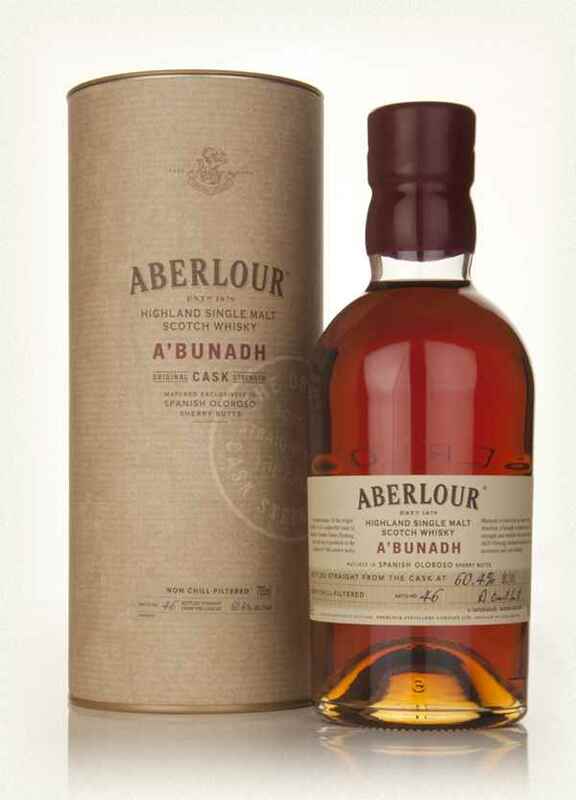 According to Aberlour, the whiskies which make up these batches are matured exclusively in Sherry butts (stop laughing) for 5 to 25 years. I'd venture to guess that most of the casks used in A'Bunadh are closer to 5 years old than to 25 years old. Nevertheless, this is an excellent whisky. The dominant flavours are dried fruits (dates and raisins), cherries, ginger, orange, dark chocolate, oak and spices (nutmeg, cinnamon, allspice). A magnificent whisky with or without the addition of water. Ardbeg has been called “as close to perfection as makes no difference,” by whisky connoisseurs. At least, that's what it says on their website. 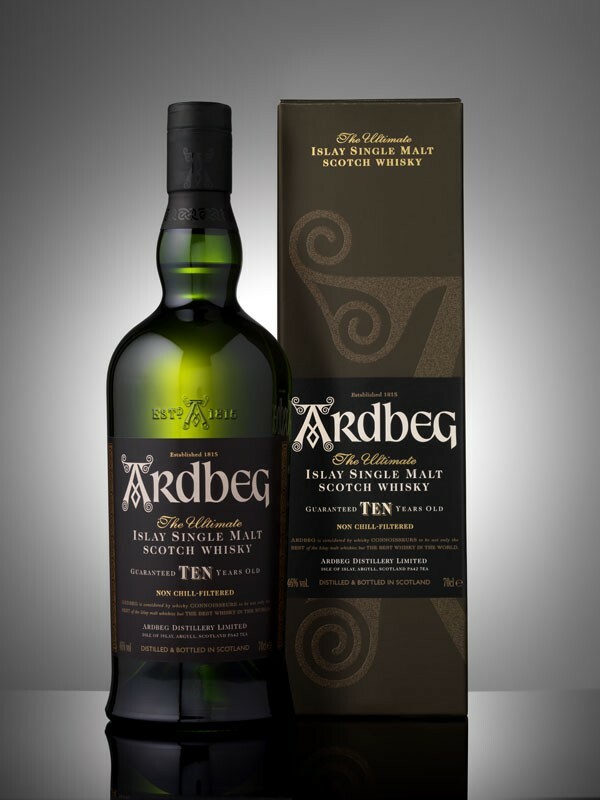 Ardbeg's flagship Ten Year Old expression has been praised extensively by pretty much everyone. Jim Murray named it World Whisky of the Year in 2008. The incomparable Ralfy named it his malt of the year in 2016. If you don't know him yet, check out his YouTube channel. Ralfy is kind of a big deal in the whisky world. At least, I think he is. Ardbeg Ten is big, peaty and smoky, with citrus notes, salted caramel, coffee and liquorice notes. It is non chill-filtered, and bottled at 46% so it's a bit above average in the ABV department, but it's the huge flavours and the intricate balance of said flavours that make this one noteworthy. The finish goes on for a really, really long time. If you like big peat and smoke (and I do), this one will get you hooked. If I could only drink one whisky for the rest of my life, Ardbeg Ten would make the short list. It really is that good. And I know we aren't supposed to care about packaging, but their bottles, labels and such really are among the coolest in the business. OK, maybe I'm predictable. Maybe you think I should have chosen the Limited Edition 12 Year Old instead of the "standard" 16. I have never tried Lagavulin's 12 Year Old expression, so I can't name it number one on my bold list. If Ardbeg Ten made the shortlist for my top whisky ever, Lagavulin 16 is the malt to beat. Lagavulin is Rocky to Ardbeg's Clubber Lang. I'm not sure who would win on any given day, but I pity the fool who passes on either whisky. Lagavulin's balance of earthy peat and full, rich tobacco smoke make it a whisky you need to sit with for a long time in order to enjoy properly. You'll also get dark chocolate notes, dates, vanilla, some fresh cigar and a bit of brine. If this sounds unbelievable to you, chances are you haven't tried it. 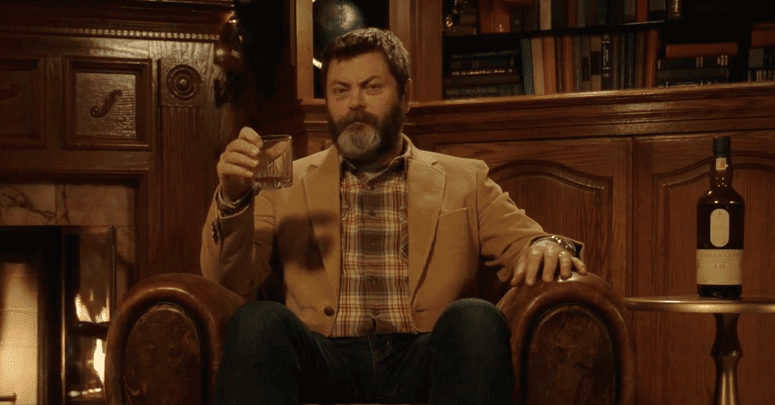 Heck, this whisky is so good, Nick Offerman spent ten hours drinking Lagavulin 16 for a Yule Log video. You can watch it here. Now lest you think I only love Lagavulin because of my bro-crush on the talented Mr. Offerman, let me put your fears to rest. I've loved Lagavulin for a long time. I loved Lagavulin before I was aware of Offerman or Parks and Recreation. Did the fact that Lagavulin 16 is Ronald Ulysses Swanson's drink of choice draw me deeper down the rabbit hole (or mash tun, as it were)? Of course. But it would never have happened if I didn't already love this whisky. Depending on your personal experience, your opinion of a bold whisky may differ from mine. If you've had Ardbeg Corryvreckan, you may find it much bolder than their Ten Year expression. You may find my omission of William Larue Weller Bourbon to be a criminal oversight. Sorry, I've never tried it and therefore I can't comment on it. The whiskies mentioned herein are my choices for Top 5 Bold Whiskies. Your opinions may differ, and I'd love to hear them. Drop a comment below. Did I overlook any great, bold whiskies? "Top 5 Overlooked Whiskies", hmm that could be a fun blog post. Until next time, thanks for reading and feel free to share. Wi'usquabae, we'll face the devil!